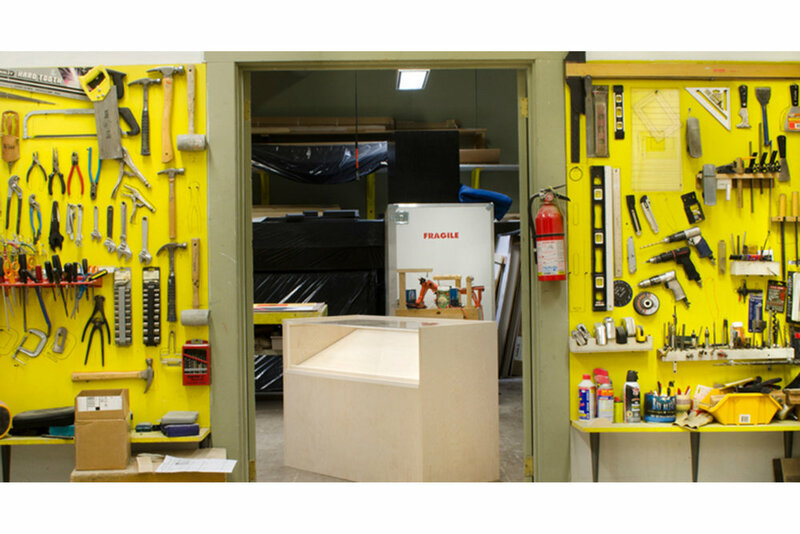 Custom fabrication for artifact display involves creating a special kind of cabinetry. From lathe machining to fiberglass sculpting, model fabrication to scenic painting, we work to support the aesthetic presentation of the artwork while managing for security and conservation. 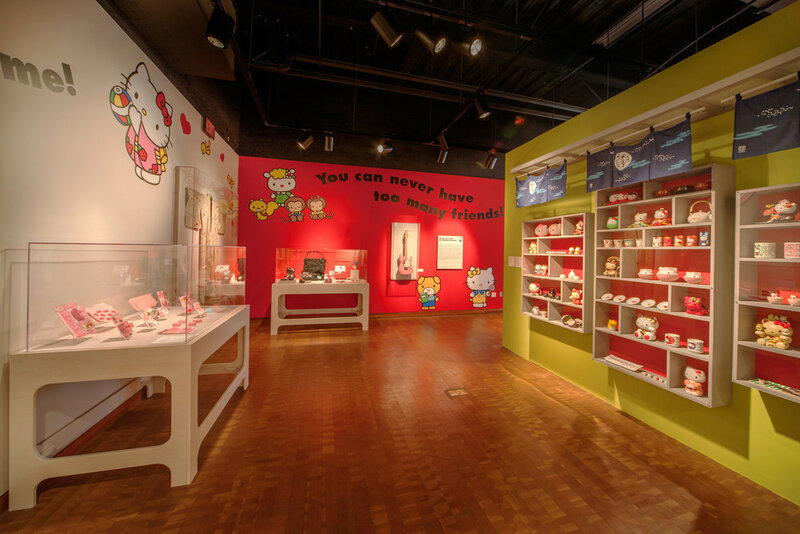 Display cases or vitrines are designed in virtually any size, shape, and configuration. Architectural, furniture and exhibition design experience is combined with custom metal and stone fabrication to create signage that is both elegant and durable even under the most extreme weather conditions. 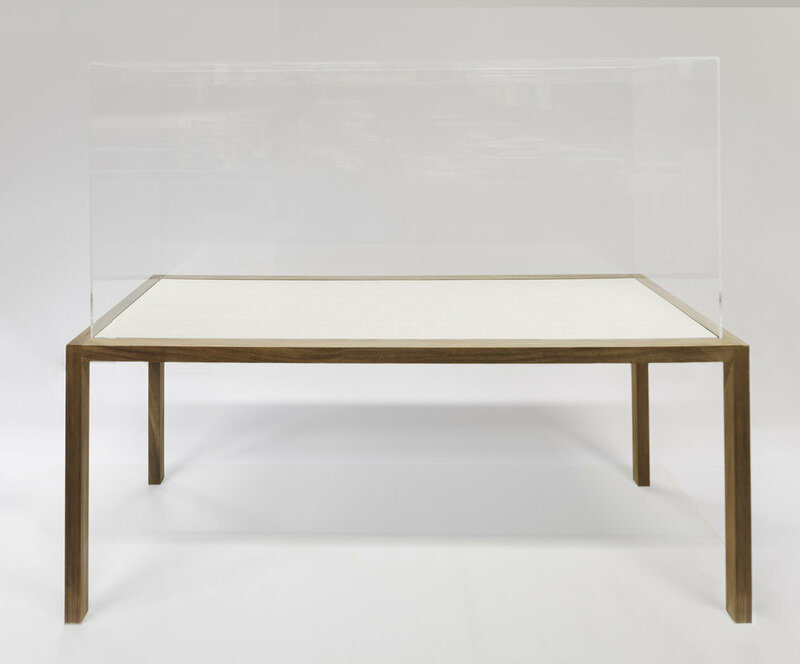 As a work of art in themselves, custom pedestals and pedestal frame-stands are handcrafted by our museum-trained staff for the elegant display of your art in the free-standing spaces of a gallery. Secured by acrylic covers but easily disassembled using security tools, our art pedestals fit snugly into an ArtCrate for their safe transportation. The objective of exhibition design and installation is to direct audience discovery, and encourage their enquiry and understanding through the objects and the experience provided. Effective exhibition design and installation creates an optimal environment that enables the viewer to receive artwork in the best possible way. We strive for the ideal balance between preservation of the object and its effective presentation to an audience. Our design, production, and installation services are uniquely tailored to your needs, be it the hanging of an individual piece or the design of an entire exhibition environment. With more than twenty years of experience, we combine practical expertise with knowledge of and adherence to the highest professional standards to realize your installation or exhibition design smoothly and successfully. Our installation services include work plans, off- and on-site crating, indoor and outdoor installation, testing, city code approval walkthroughs, and maintenance and support planning. Our design services include design development, exhibit planning and scripting, electronic and mechanical design (including 3D modeling and scale models), project estimating, material sourcing, and site surveys.